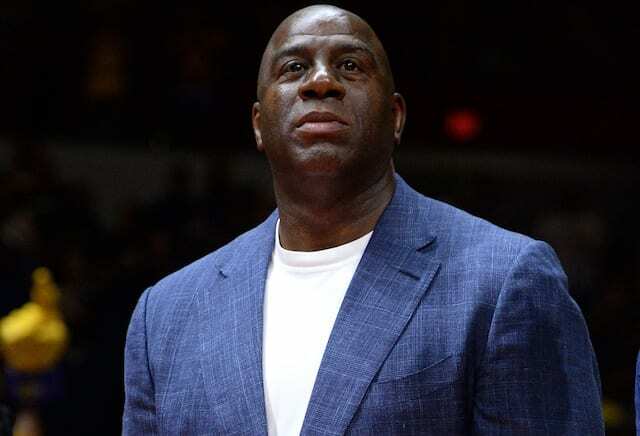 One day after launching an investigation into the Los Angeles Lakers for potentially tampering with Philadelphia 76ers point guard Ben Simmons, the league announced president of basketball operations Magic Johnson did not violate any rules. “We have concluded that Magic Johnson’s statements regarding Ben Simmons do not constitute a tampering violation,” the NBA said. “The Philadelphia 76ers initiated the contact with the Los Angeles Lakers by requesting a meeting between Johnson and Simmons. 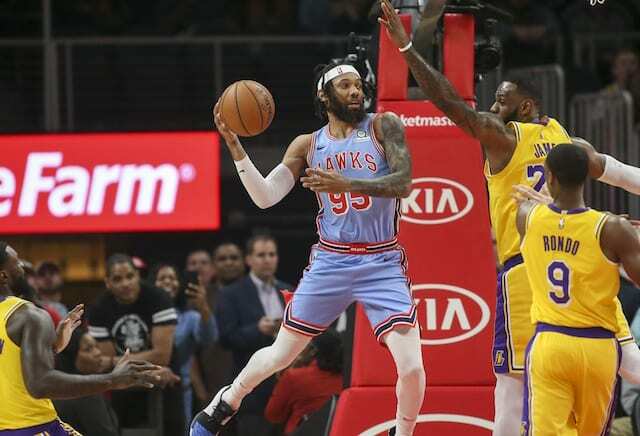 While Johnson was in Philadelphia to speak with Lakers players regarding the team’s pursuit of Anthony Davis at the trade deadline, he also met with media prior to tipoff. Johnson was asked for his opinion on Simmons, during which he revealed the young star sought a meeting and potential offseason workouts. The Lakers later clarified a member of the 76ers front office contacted them on behalf of Simmons to inquire on a potential arrangement. That prompted Lakers general manager Rob Pelinka to connect with Sixers GM Elton Brand to inform him of the request. During a local radio appearance, Brand said the team would not approve such a meeting between Johnson and Simmons. Brand did not make it clear it was the 76ers who initiated the contact, and reportedly phoned Johnson to apologize for the situation taking on a life of its own. The Lakers were previously fined for tampering with Paul George and more recently, Johnson’s remarks about Giannis Antetokounmpo and the likelihood he will eventually lead the Milwaukee Bucks to a championship.